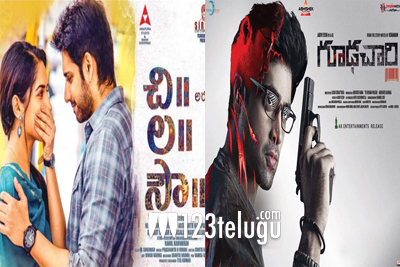 After a long time, things look good as impressive Telugu films have released in the form of Chilasow and Goodachari this Friday. There was a decent craze for these films in the US and the distributors had a good number of premiere shows. The latest we hear is that Adivi Sesh’s Goodachari made $53,217 from 104 locations and Sushanth’s ChiLaSow made $25,797 from 75 locations. The other film which released, Brand Babu saw a disappointing opening in the form of $251 dollars. Both the films, Chilasow and Goodachari received good reviews and have been attracting their target audience. This weekend will be a huge key for these films and we need to see how they perform at the box office.